The debate regarding for-profit colleges is an important one in U.S. society. According to Washington Post data, tuition costs have risen steadily over the last decade thanks to increasing demand, virtually unlimited access to education financing and especially the consistent cutting of federal funding. These trends have given rise to for-profit colleges, which give degrees of often questionable value at high cost to students. According to The Center for Investigative Reporting, the federal law that is best known as the 90/10 rule stems from a 2012 executive order by President Barack Obama in response to the trend of for-profit colleges exploiting veterans and military status servicemembers. This rule mandates that for-profit school may not receive government funding if they receive more than 90 percent of their funding from federal student aid programs. The intention behind this law was to prevent this kind of institution and their shareholders from deriving all or the overwhelming majority of their profits directly from taxpayers. Unfortunately, these education businesses appear to have found a loophole. An internal Department of Education analysis that was obtained by The Center for Investigative Reporting found that 133 for-profit schools actually received more than the maximum of 90 percent of their revenue from taxpayers, but were disguising this by declining to include GI Bill funds for veterans and Department of Defense tuition assistance to those with active military status. While some of these organizations are small, the list also includes for-profit chain colleges, like the University of Phoenix, Strayer University, Ashford University and Colorado Technical University, according to the analysis. In 2012, taxpayers paid approximately $9.5 billion to those 133 colleges alone, accounting for 92.5 percent of their funding. Notably, $3.7 billion of this went to the University of Phoenix alone. In line with the public’s general concerns about these institutions’ extremely low graduation rates, the University of Phoenix had a graduation rate of just 15 percent, with more than one fourth of students defaulting on their loans within three years, The Center for Investigative Reporting found. Pushing actual figures even higher, the Department of Education analysis also found that 292 for-profit schools were within 5 percent of the 90 percent cutoff, and collectively took in another $6 billion from the government. DeVry University was the largest school in this category, taking in $1 billion from the government. The Center for Investigative Reporting also looked at attempts to close this loophole and found that there had been several. Most recently, Reps. Susan Davis, D-California, and Mark Takano, D-California, introduced legislation that would rectify the situation. While for profit schools would still be able to receive 90 percent of their funding from taxpayers, they would no longer be able to legally increase this figure by not counting money from the Pentagon. Within minutes, it was killed by Rep. John Kline, R-Minnesota, the news source reported. Since Kline became the chairman of the house Committee on Education and the Workforce in 2011, Apollo Education Group, the parent company of the University of Phoenix, has been his largest campaign contributor. He has received $57,000 from the company in that time, more than any other member of Congress. For some context, Kline’s total campaign contributions for the 2013-2014 cycle comes to $2,611.684 so far, according to Open Secrets. Kline’s largest industry for contributions was, unsurprisingly, education, and he took in $256,349 from individuals and PACs related to the industry this cycle. This shocking report comes on the heals of a recent scandal in which private student lender Sallie Mae, which is now known as Navient, was found to be in violation of the Servicemembers Civil Relief Act. 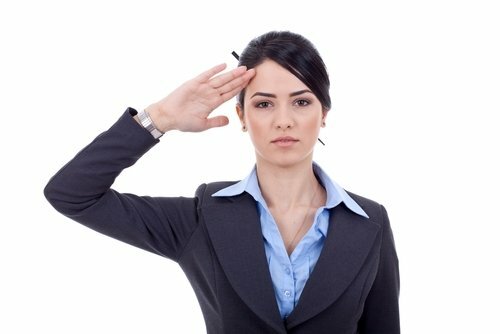 The benefits and relative financial illiteracy of military status servicemembers makes them prime targets for institutional exploitation, and as a result, many lawmakers are very serious about protecting them. It is essential for anyone who does business with this class to know their responsibilities and stay in compliance with this important law.